Homeowners love their central vacuum systems and the amazing accessories that can be added. Some accessories are very popular while others are unheard of. One of our top selling accessories, what we believe to be a brilliant idea, is the automatic dustpan. This single accessory will change your cleaning routine and maybe get the family to help clean. Not only is the automatic dustpan a fantastic idea in regards to cleaning, it is also a smart idea for people with allergies. It is a simple accessory that is compatible with virtually all central vacuum systems and works best on smooth flooring. 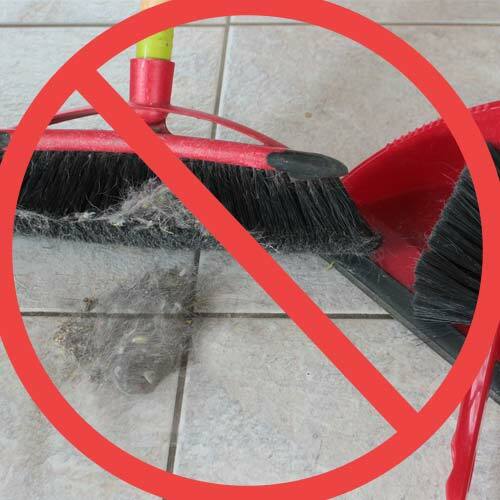 When using a broom and dust pan to clean the floor, tiny dust and debris can be spread throughout the air. By using the automatic dustpan, the dust and debris is swept directly into the central vacuum air stream with less likelihood of allergens and dirt circulating throughout the air. The dustpan is easily installed in the wall, baseboard or toe kick of a cabinet. It’s activated by a switch of the lever to the on position or by flipping the door up to open. Once the dustpan is activated it stays on till it is switched off by the user. Dustpans can be installed in your kitchen, bathroom, mudroom, workshop and even commercial hair salons or veterinary clinics. They also are great for smaller areas like a RV or yacht and come in a variety of colors to match the interior: almond, silver, black and white. Dust pans can be installed in new or existing central vac systems but we suggest having a qualified technician to complete the installation. Please visit our website if you have more questions or contact us at 1-800-533-3249. Don’t forget to visit our FaceBook page for more tips and information.